Redmi Go’s vibrant display, simple UI, decent performance and battery backup makes it a viable option for those feature phone users who want to upgrade. Xiaomi is a company that needs no introduction. It's a company that's established such a reputation for itself that one could simply walk away with a new phone and not really worry about quality or performance, and that's quite commendable. The Redmi Go, as with other Xiaomi phones, is exactly one such device. It's cheap, dirt cheap, and runs Android Go. 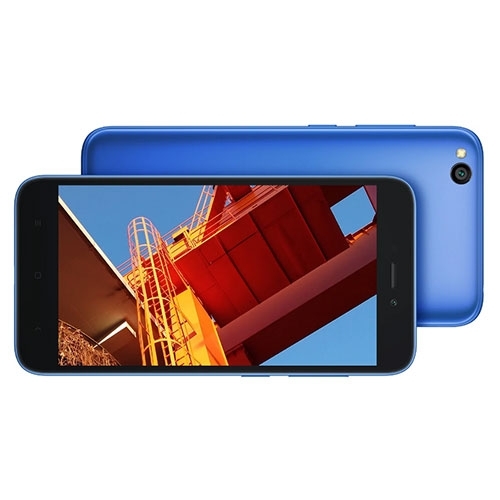 It has a nice display, a great battery and a functional camera and it's available at just Rs 4,499. The Android Go bit is what makes this phone even more exciting. Our perennial complaint with Android phones is phone makers eschew the simplicity and power of stock Android in favour of bloatware and custom skins that attempt to make their phones stand out. Unfortunately, while they do succeed in the latter, after a fashion, you're left with a phone that's missing the most recent updates and one that might not even get support following the initial months of its launch. Android Go certification means that the phone is running bloat-free Android, and a light version of Android at that. Xiaomi's first Android Oreo (Go Edition) smartphone, the Redmi Go was launched at Rs 4,499. While HMD Global announced a few Nokia branded Android Go smartphones and Samsung brought its first Android Oreo (Go edition) phone too last year, Xiaomi a brand popular for bringing well-package phones at an affordable price was nowhere in the list up until 2019. Xiaomi entered the segment with its first Android Oreo (Go Edition) smartphone the Redmi Go in March this year. The phone features an HD display, single front, rear camera and packs a decent 3,000 mAh battery. 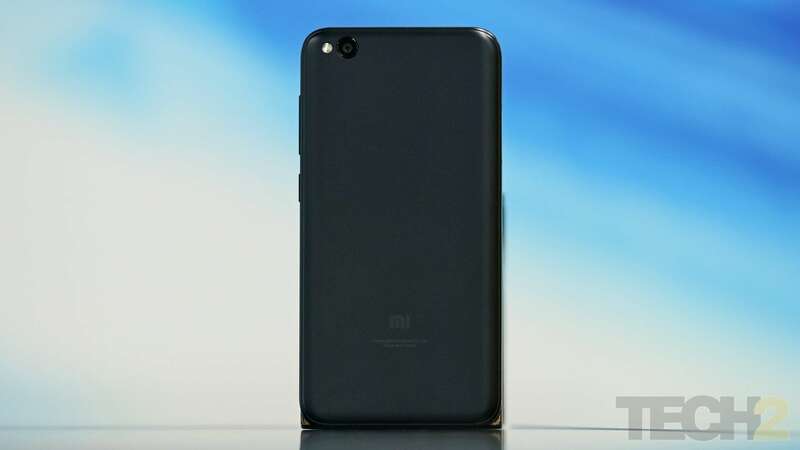 The Redmi Go is aimed specifically for first-time smartphone users who want to switch from feature phones. The new Android Go edition is the cheapest device in Xiaomi’s mobile portfolio at present. The Redmi Go comes with a price tag of Rs 4,499. 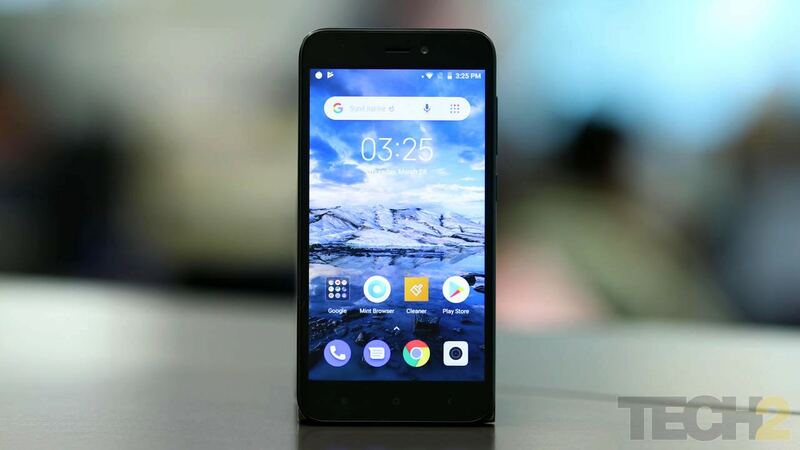 But feature phones still takes a good share in the Indian mobile market accounting for more than a million users and while Xiaomi now seems to be aiming to grab a slice from it with its cheap Android phone, the only question remains is if the new Redmi Go is worth its price. Here’s what we found in our review after thoroughly testing Xiaomi’s first Android Go phone for a week. The Redmi Go is built entirely out of plastic and borrows its design language from Redmi 4A. The phone doesn’t have a sleek profile but its compact form and curved edges offer a good grip. 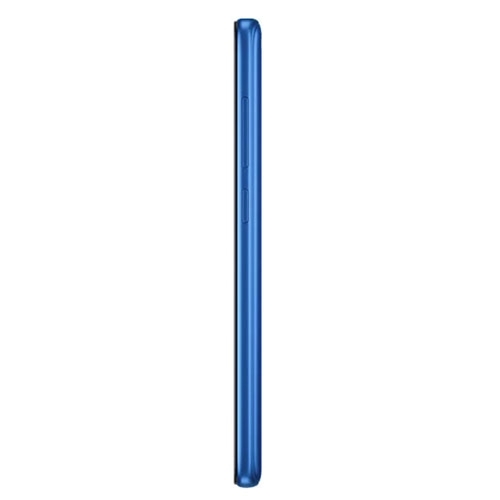 The Redmi Go is 8.4 mm thick and weighs around 137 grams. Despite this, the phone doesn’t feel heavy and it fits quite well in one’s palm (even if you have small hands). Moreover, you can slip the phone easily in your jeans pocket (unlike those tall form factor smartphones) and one-handed usage is a breeze. The build quality of the phone is good and it feels solid. The Redmi Go gets a dedicated microSD slot (located on the left edge) which is a bonus, given that many budget phones in this price range come with hybrid dual SIM tray. The matte finished plastic back panel doesn’t attract fingerprints; however, the front glass screen is slightly glossy. The three capacitive buttons below the display are not backlit, which is another drawback of the phone. It was disorienting at first (mostly at night), but I slowly got used to it after a few days of use. Overall, Xiaomi didn’t compromise on the aesthetics even though it is a budget-oriented phone. The Redmi Go sports a 5-inch HD display with a resolution of 1280 x 720 pixels. The phone doesn’t look modern, at least from the side. It has chunky bezels at the top and bottom up front which makes it rather appear dated. Nevertheless, the display on the phone looks good in terms of colour reproduction and viewing angles. The text looks sharp and the display visibility for both indoors and outdoors is decent. The slight glossiness of the display adds to a little reflection, although auto brightness works fine under harsh lighting conditions. The phone has a Night Light feature that eliminates blue light for comfortable viewing in the dimly lit situation. Another nifty feature is the ‘Double tap screen to wake’ option which doesn’t require you to use the power button to wake the display. The Redmi Go runs Android 8.1 Oreo (Go Edition). Google’s Android Go software has been optimized for entry-level smartphones and offers a vanilla Android experience. 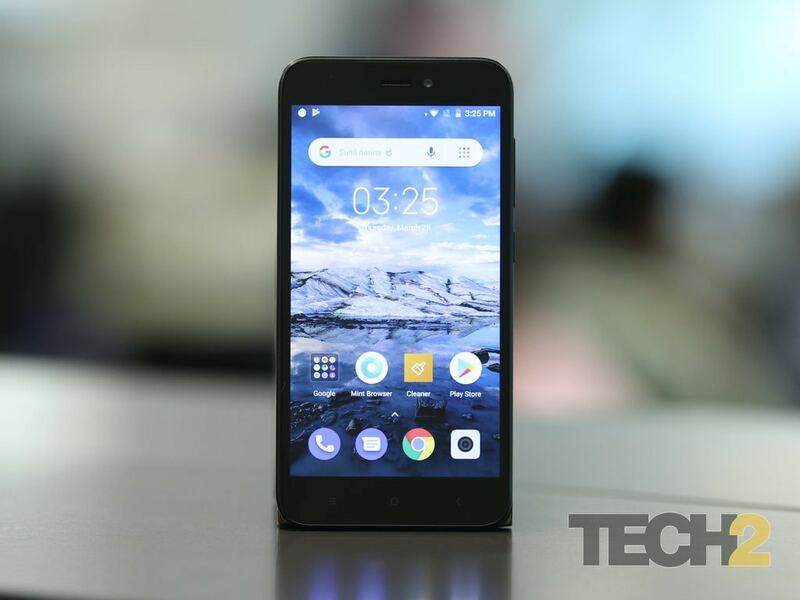 Xiaomi's Redmi Go includes Google’s Go suite of apps such as the Google Go Assistant, Maps Go etc., which are well optimized to offer snappier performance. 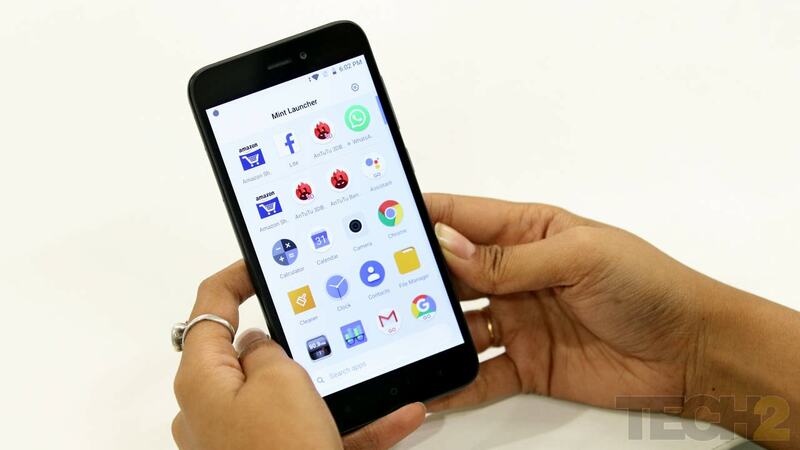 The phone comes pre-installed with a few third-party apps including Facebook Lite, Amazon which you can uninstall. Notably, the phone doesn’t come with an Android launcher; Xiaomi has instead skinned Android Go with a lightweight Mint launcher. The Mint launcher offers customization with themes, icon packs that one can choose from based on their preferences. The launcher even allows you to customize the home layout and reduce the icon size. Unlike Redmi 6A’s custom MIUI skinned OS, the interface on the Redmi Go looks neat and thankfully it gets an app drawer too. The bundled version of the Google Play Store is tweaked to highlight the Go and Lite versions of the apps at the top of the landing page. In day to day usage, the apps on the phone worked fine except for Google Maps Go that failed to load directions more than thrice. The Gmail Go is nothing different than the standard Gmail, except it eats less space than the standard app. The emphasis is on data savings as well. The phone gives the option to download videos at a different resolution. While this would help those users who have limited data plans, they will be able to save some storage space too. But there's a problem here that I will mention in the next section. It is worth mentioning that unlike stock Android on devices like Pixel, Android Go isn’t directly supplied by Google. It is built by the OEM from Google’s sources which means there could be a delay while receiving security updates. That being said, our Redmi Go review unit still had January’s security patch in April. Overall, the experience was satisfactory. The simple layout and intuitive interface certainly serves the purpose and would definitely help feature phone users to quickly adapt to Android OS. Underneath the Android Go software layer sits a quad-core Qualcomm Snapdragon 425 processor, the same mobile platform found on the Redmi 4A phone. The chipset is paired with Adreno 308 GPU and 1 GB of RAM. It offers 8 GB of onboard storage which can be further expanded up to 128 GB using a microSD card. I found the Redmi Go to be a decent performer considering its price. The device processing was fairly smooth for normal day-to-day activities, be it browsing the internet, replying to emails, or scrolling through social media apps. The phone didn’t stutter while switching between multiple apps. Indeed, you would not expect a smartphone with 1 GB RAM to run graphics intensive games smoothly, but we tried it out nonetheless. As expected, the phone struggles while performing heavy duty tasks. 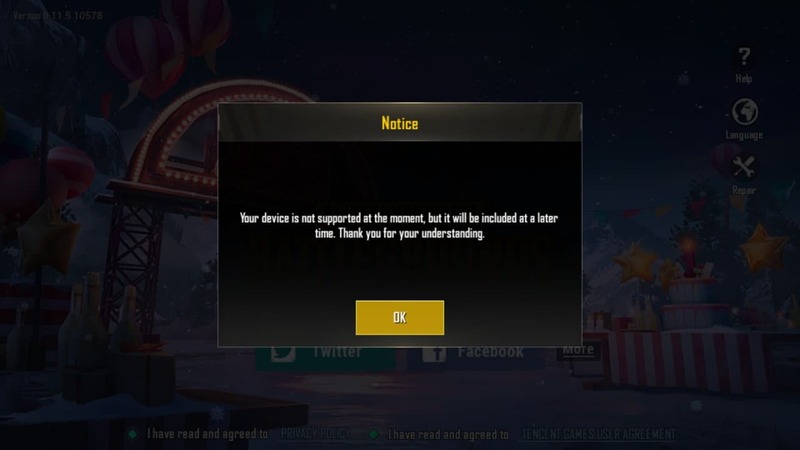 While using the device for extended hours I observed occasional lag when playing Asphalt 8: Airborne with multiple apps running in the background. That said, the Redmi Go doesn’t support certain heavy Android game titles like PUBG Mobile, Asphalt 9: Legends and the lot. This might be disappointing for those users who want to try out popular titles on a budget Android phone. The benchmark test AnTuTu crashed more than twice and heavy sites took time to load. However, the Redmi Go manages to run casual games with ease. The phone doesn't support certain graphics-intensive Android game titles. The Redmi Go is best suited for light and moderate users who don’t torture their device much. The only sore point of the phone is its low amount of storage and RAM that restricts loading up songs, videos and apps that use heavy files. The Redmi Go features a basic camera configuration which is expected from an entry-level device. The phone features an 8 MP rear camera and a 5 MP camera up front. The camera interface on the phone offers a few real-time filters and AI Beauty mode as well. I found the rear camera to be pretty decent. The Redmi Go managed to capture photos with good colour reproduction and detail provided the lighting conditions were good. 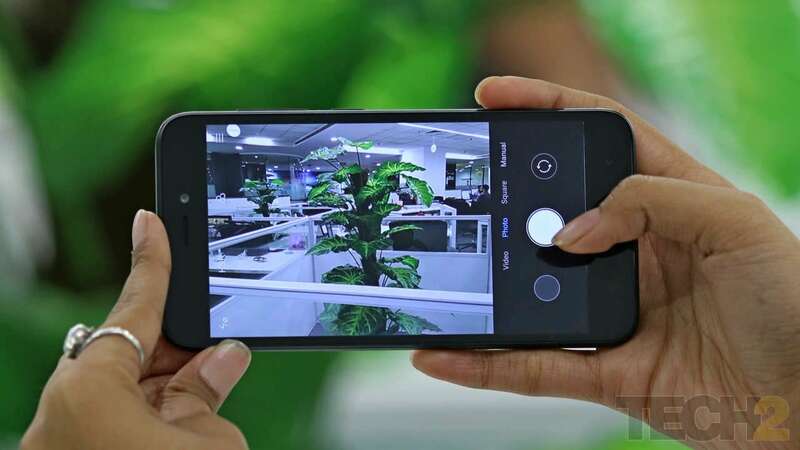 Surprisingly, the camera app offers a Pro mode that lets you control the ISO, gets you manual focus and more, controls that are not easy to find on most budget smartphones. The rear camera could accurately lock focus on the subject in daylight even though it was a bit slow to pull off the same. Even the macro shots turn out to be great, however, in the few landscape shots that I clicked under harsh sunlight I observed a glaring effect (somewhat blue cast) that washed out the details. In low light, the phone manages to capture decent shots, but there’s a lot of noise in the photos. 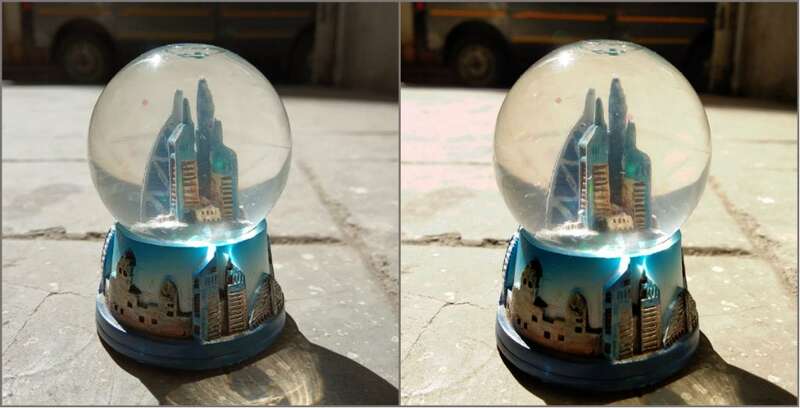 The HDR mode enhances the pictures in good light, however, it is recommended to avoid using the mode in low light as it takes time to process images, which means you’d end up with blurry shots. For comparison, I took a few shots with the Redmi 6A that costs around Rs 1,500 more than the Redmi Go. Although the phone houses a single rear camera, the Redmi 6A could capture better-details both in daylight and low lighting conditions. The photos on the Redmi Go had decent colour reproduction and the shots looked close to natural, however, the camera on the Redmi 6A could retain better-details even in low light. 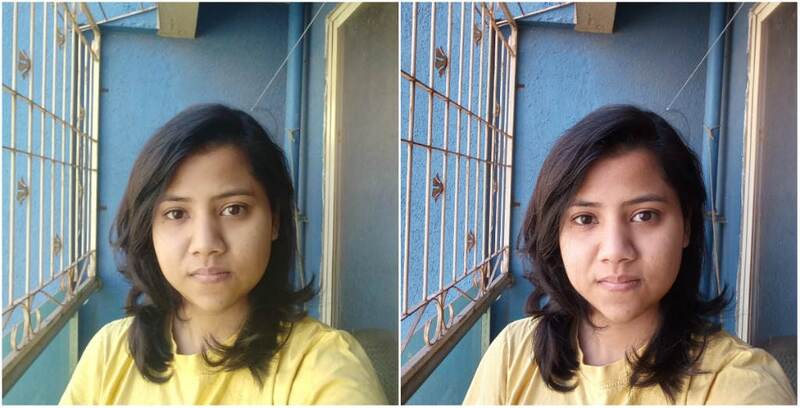 As for the front 5 MP front-facing camera, it is capable of shooting decent daylight selfies. The beauty mode tends to soften the image but you can adjust the levels or turn it off completely. In low light, the case was totally opposite. The camera managed to produce vivid colours in low light, however, the photos had low details compared to the ones clicked on the Redmi 6A and were quite grainy. Redmi Go (L), Redmi 6A (R). But overall, the Redmi Go manages to offer good primary that one could get in this price bracket. 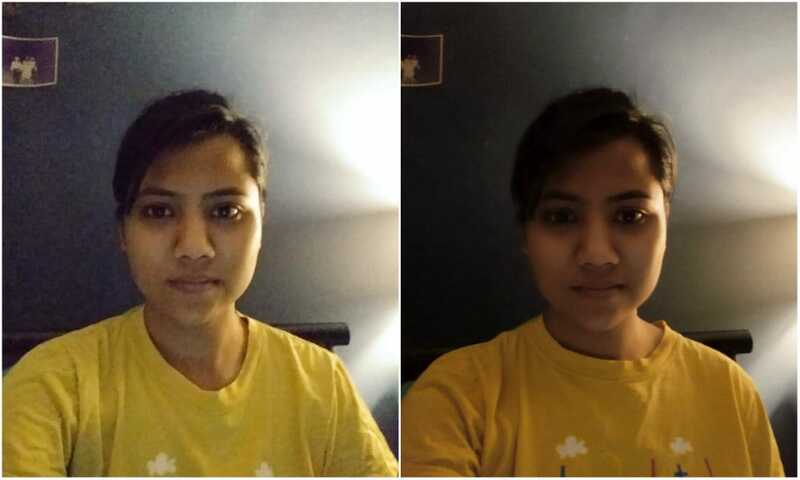 Although the front camera captures reasonable shots in low light, it can render decent selfies that are passable for social sharing. You can check out high-res photos clicked on the Redmi Go in our Flickr album by clicking here. The Redmi Go packs a standard 3,000 mAh battery and has a micro-USB port for charging. The battery on the phones lasts one day with average usage. With intense usage that includes playing games for long hours, texting on social apps, scrolling through Twitter feeds, streaming videos on YouTube and clicking photos in between, the phone will last more than 12 hours on average. 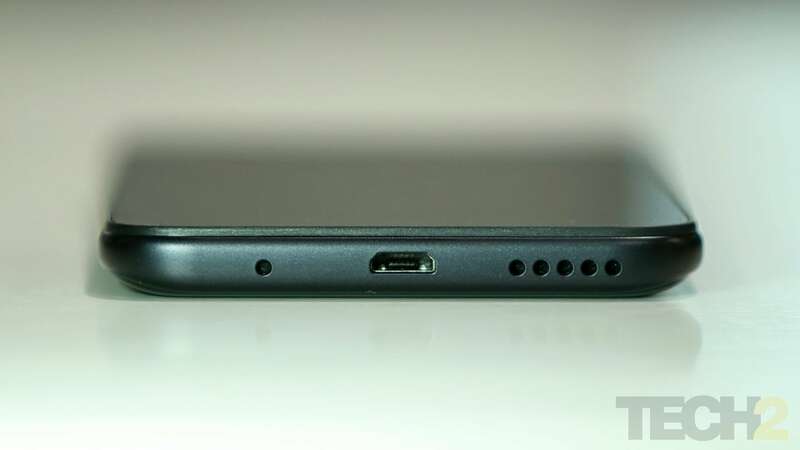 The phone ships with 5V-1A charger which could charge the battery to full 100 percent in about 2 hours 14 minutes. With a vibrant display, compact size, decent battery backup and performance, the Redmi Go does serve a good package for the price. The phone’s limited native storage and RAM, and its struggles with low light imaging are a few drawbacks. Further, its inability to run 3D graphics-intensive games like PUBG Mobile may come as a surprise for a few. 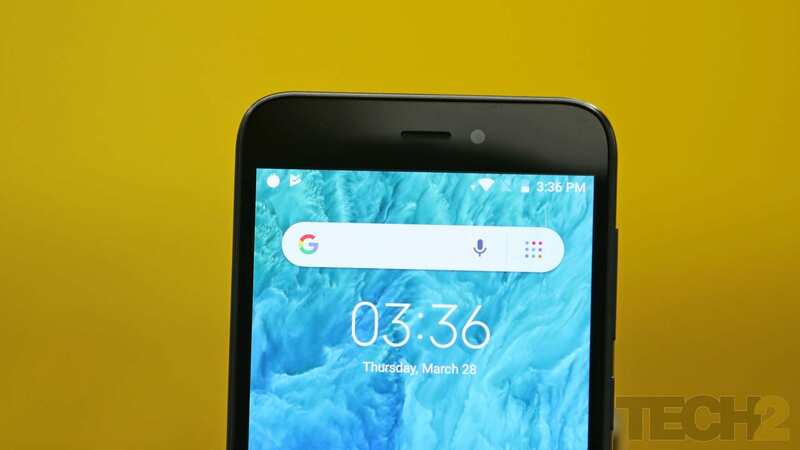 For a price tag under Rs 5,000, the new Redmi Go offers a few aspects which are not easy to find on a budget smartphone. However, the primary question that remains is whether one should pick this new device from Xiaomi. The Redmi Go is a viable option for those feature phone users who are looking to upgrade to a smartphone from a feature phone. 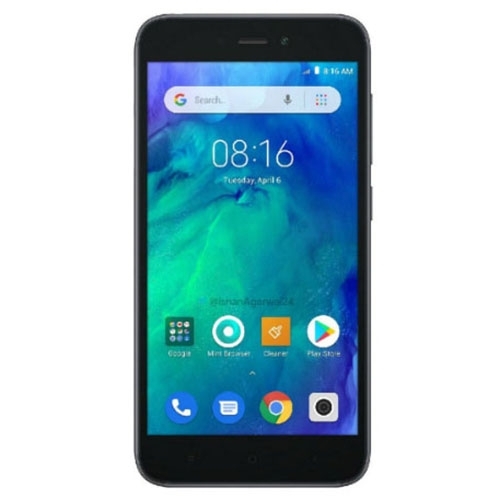 The phone is a good performer at this price point, given certain smartphones in this price bracket either run older MediaTek or even Spreadtrum chipsets. However, if you prefer playing heavy titles and want a slightly bigger display you can pick the Redmi 6A with a capable MediaTek Helio A22 chipset instead. The phone can run 3D games at lower frame rates and offer extra RAM, native storage. 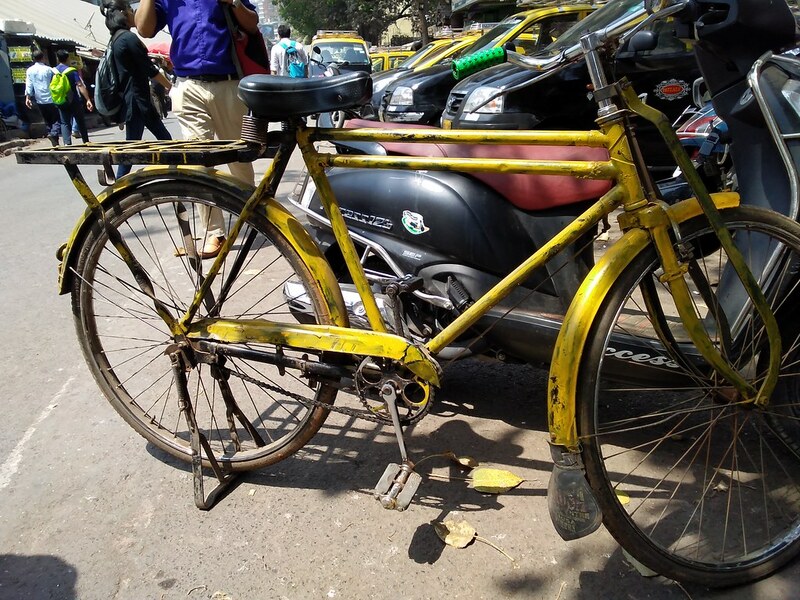 Moreover, the phone captures better-detailed photos as compared to the Redmi Go, which could be a good add-on for those looking for a better camera. 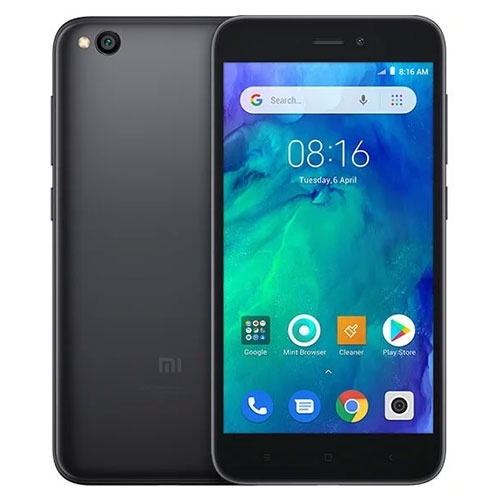 In a nutshell, the Redmi Go is probably the best low-end Android phone one can grab right now, however, if you can spend a bit more cash then Redmi 6A will be an ideal option. The phone is currently retailing at Rs 5,999 for the 2 GB RAM and 16 GB storage model. The Xiaomi Redmi Go (8GB, 1GB RAM) features a 5.0-inch HD display with a resolution of 1280 x 720 and is powered by a 1.4GHz quad core processor and has 1GB of RAM. It comes with 8GB of inbuilt storage, expandable up to 128GB and has a 8.0-megapixel rear camera and 5.0-megapixel front camera. It comes with Android 8.1 oreo OS and support a 3000mAh battery capacity with 3G and 4G.